We translate your information/data into original content that is both entertaining and impactful. As a black, Kenyan company led by two women, we offer a distinct and necessary perspective, in addition to our combined 10+ years of experience in various forms of storytelling. 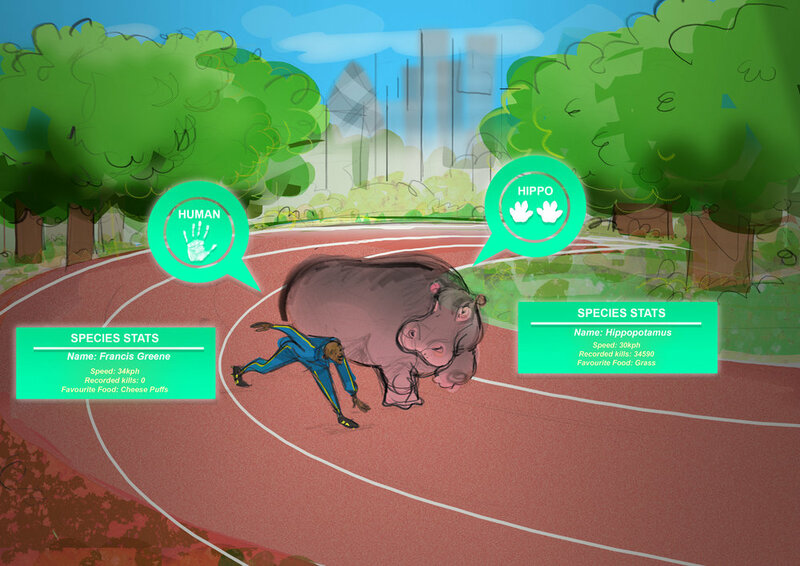 Problem: Internet of Elephants needed to visually show user experiences of their products through illustrated storyboards of single moments or sequences. Solution: We enhanced their concept, helping bring it to life by developing a clear lived universe that their products work in. Problem: ZanaAfrica wanted to create effective educational content for adolescent girls' around Sexual Reproductive Health and Rights as part of a The Nia Project, a large-scale Research Trial, featuring approximately 5000 girls. Solution: Prior to opening OilCreatives and during our tenure at ZanaAfrica, we led the creative team in making a series of five magazines, in both English and Kiswahili, containing features, comics and activities. 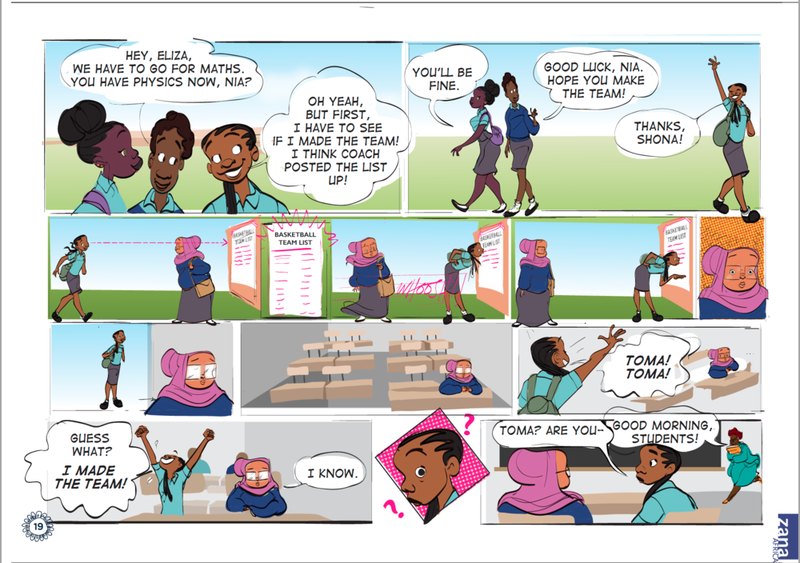 Problem: ZanaAfrica wanted to have a compelling comic that could girls could relate to and effectively communicated key facts on adolescence. Solution: Our first gig, we were employed to develop the "Nia Comic". We developed the Nia lead character and her friends, the universe they inhabit and multiple comics throughout our five year tenure at ZanaAfrica. This experience inspired us to begin OilCreatives. Problem: Spatial Collective needed to understand the narratives hidden in data around countering violent extremism, in order to see the gaps in the data. Solution: We reviewed all the data, formed narratives and, in so doing, highlighted the narrative gaps that they needed to understand.